Beijing is a fascinating city that is the perfect spot for your next cultural holiday. As the capital of China, Beijing is buzzing with energy and history. It is one of the oldest cities in the world, and human habitation dates back about 230,000 years. While the city loves to embrace its history, it has quickly modernised over the past several decades as well. Beijing is China’s hub for technology, business, and politics. While visiting Beijing, you’ll have access to some of the country’s top shopping and food destinations, museums, and the legendary Great Wall of China. 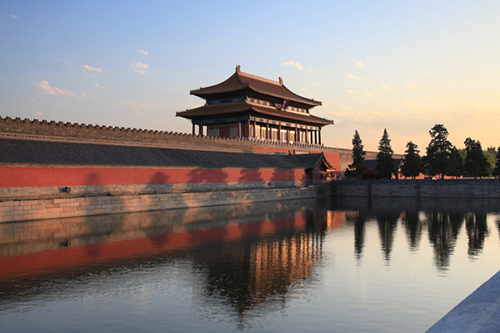 In order to save money on your trip to China, book one of Webjet’s Beijing holiday packages. These Beijing packages are the perfect option for travellers who don’t want to blow their whole holiday budget on flight and hotel expenses. Webjet will bundle together your flight and hotel bookings, which can save you several hundred dollars on your trip to China. It will also save you time, so you can spend less time on the logistics and more on planning the trip of a lifetime in Beijing. Beijing holiday packages are a great option for both families and small groups who would like a bargain on their trip to China. Beijing is home to two major airports: Beijing Capital International Airport (PEK) and Beijing Nanyuan Airport (NAY). Each of these airports receives international flights, so you could arrive to either one from Australia. PEK is 32 kilometres (20 miles) from the city centre and is the busiest airport in Asia in terms of passenger traffic. NAY is located 13 kilometres (8 miles) from the city. Several quick and affordable transport options are available into the city centre from each of these airports. If you are flying from Sydney or Melbourne, you can catch a direct flight to Beijing. Flights from Sydney arrive in about 11 hours, and flights from Melbourne arrive in less than 12 hours. If you are travelling from another city in Australia, you can schedule a flight to Beijing with a stopover. A variety of major airlines offer flights between Australia and China, including Virgin Australia, Qantas, Singapore Airlines, Air China, Cathay Pacific, and AirAsia. All over China, you’ll find accommodation options that range from budget to luxury. Within Beijing, there are a number of affordable options. Many city accommodations are located within high rises and combine modern style with some traditional Chinese elements. The Pentahotel is located in the heart of central Beijing, within walking distance to Tiananmen Square and Chongwenmen metro station. The Pentahotel is a trendy hotel that is cool from the moment you arrive. Rather than a reception desk, you are checked in by the resident bartenders with a cocktail. Rooms are available in four sizes and offer a sleek, modern design. Rooms start from $111 AUD, making this hotel a great option for budget travellers. Amenities within the Pentahotel include a fitness centre, free WiFi, and a restaurant. The 5-star W Beijing Chang’an is perfectly located in the city centre. From the hotel, you are within easy reach of the Forbidden City, Tiananmen Square, and the Silk Market. The rooms of the hotel are luxurious and have a sleek style. Throughout the W, you’ll see examples of contemporary Chinese style. While staying at the W, you’ll have lots of amenities available to you, including a spa, fitness centre, several restaurants, and a cocktail bar overlooking the city centre. This budget-friendly option is a far cry from your standard three-star hotel. The Traveler Inn is located within a traditional Chinese building. Throughout the communal areas of the hotel, you’ll feel as if you are walking through a Beijing temple. Rooms are available in seven different sizes and start from just $86 AUD per night. The hotel is located within the Fengtai District of Beijing and is within close reach of some great restaurants and bars. A metro station is located a 5-minute walk away, so you can easily explore every corner of Beijing. The Traveler Inn offers free WiFi, a spa, a fitness centre, and a restaurant to its guests. As the capital city of China, Beijing is teeming with history and culture. The city is one of the oldest in the world. There is so much to explore around Beijing, and within easy access from the city, you’ll find a number of day trips to take. With museums, natural beauty, shopping, nightlife, and a great food scene, Beijing has something to offer everyone. The Great Wall of China is one of the most popular attractions in all of China. The Wall was built as a way to protect China from raiders and invaders. Its construction lasted from 220-206 BC and still looks much as it did back then. The Great Wall extends for 21,196 kilometres (13,170 miles) through the country, and a portion of it it located near Beijing. Several public transport options are available between the city and the Great Wall of China where you can walk along the wall and take in its immense history. The Forbidden City is one of the most historic sites in Beijing. It originally served as a palace and was home to members of China’s royal family. The palace was inhabited from the time of the Ming Dynasty in the 15th century to the Qing Dynasty in the early 20th century. Today, the Forbidden City serves as a museum where visitors can learn about the country’s history and see some impressive examples of traditional Chinese architecture. Tiananmen Square is a historic city square located in the centre of Beijing. The square is known as one of the largest city squares in the world. Throughout history, some important events have occurred in Tiananmen Square, including the city’s infamous riots of 1989. Within Tiananmen Square, you’ll find some major Beijing attractions. These include the Great Hall of the People, the Monument to the People’s Heroes, and the National Museum of China.